In 2014 Botanical Society of America established the “Emerging Leader Award” to be given annually in recognition of creative and influential scholarship in any area of botany reflecting the breadth of BSA. Awardees will have produced outstanding scholarship and also demonstrated exceptional promise for future accomplishment. The awardee will be recognized at the annual banquet and have the opportunity to present a special lecture at the following years’ meeting, with all reasonable meeting expenses covered by the BSA. The awardee will also receive five year’s membership in the society, free publication in the American Journal of Botany for two years, and an invitation to submit a special paper to AJB. **Eligibility: 1) The candidate must be within eight years of earning a Ph.D. (or equivalent) (not including time on parental or other leave) and 2) must be a member of the Botanical Society of America. (4) names and contact details of the two referees (including the nominator where applicable) who have sent supporting letters. N.B. : The letters of reference should be sent separately, but no application will be considered without these letters. Process for Selection of Awardee: The BSA Merit Award Committee will evaluate the applications. 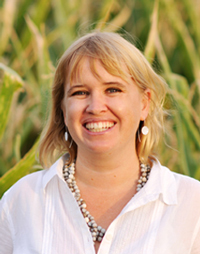 Dr. Madelaine Bartlett is a strongly dedicated scientist, driven by her multi-disciplinary research on plant evolution and development with particularly strengths in molecular and genomic evolution, plant developmental genetics, and comparative and experimental plant evolutionary biology. Her research uniquely combines these various focal areas of expertise, making her one of the top plant evolutionary and developmental geneticists of her generation. She is fearless in developing cutting-edge research designed to understand fundamental processes in plant development and genetic evolution that ultimately play a key role in plant adaptation and diversification. Though her research, teaching & mentoring, and outreach Madelaine has positioned herself to have a major impact on the future of scientific research and education in botany, plant evolution and developmental biology. Her scholarship, creativity, energy and drive make her the ideal embodiment of a BSA Emerging Leader. Ben’s commitment to teaching, outreach and professional service is also impressive. 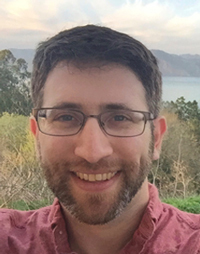 Since defending his PhD, Ben has mentored over 70 undergraduates and high school students. Many of these diverse students have continued on in STEM fields, and Ben was recognized as an outstanding faculty mentor by the VA-NC Louis Stokes Alliance for Minority Participation in STEM in 2015. 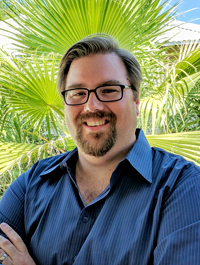 Ben has also organized several regional meetings and symposia, and he has served on the BSA Public Policy Committee since 2013. Among his achievements in outreach, Ben mentored K-12 Planting Science teams for five years, helped develop and implement a discovery-based genomics curriculum for high school summer interns at the National Museum of Natural History, and is now a lead organizer of Walking with Wildflowers, a new citizen science initiative for monitoring plant phenology along the Pacific Crest Trail. Selena Smith has only recently become an Assistant Professor of Earth & Environmental Sciences and Program in the Environment (and Museum of Paleontology) at the University of Michigan. Nevertheless, she already has established an exemplary record of innovative scientific research, professional leadership, and student mentorship. Selena initiated her program of paleobotanical research as a high school honor student, conducting, completing, and publishing her first scientific paper before entering the University of Alberta, where she completed an additional nine papers while completing her B.S. and Ph.D. degrees in 2002 and 2007, respectively. In 2005 she received the first NSERC André Hamer Doctoral Postgraduate prize, awarded to the single most outstanding doctoral student in Canada. Selena already has published more than 30 refereed papers (since the year 2,000). The superior quality of Selena’s studies has been appreciated since her first presentations, earning her numerous awards including the Isabel Cookson Award (for best research student presentation in paleobotany at the annual Botanical Society of America meetings), and prestigious competitive pre-doctoral and post-doctoral fellowships in Canada and the United Kingdom. She has achieved continuous National Science Foundation funding through multiple awards from 2010 through at least 2018. Selena’s studies go well beyond the narrow systematic breadth, stratigraphic ranges, or preservational modes that characterize the work of less creative scientists, and she has been at the forefront of developing and employing new methods and technologies such as X-ray tomography, which uses synchrotron technology to develop non-invasive three-dimensional images of fossil plants that may still be imbedded in rock matrix. Her work also spans a wide range of foci, including structure and development, reproductive biology, paleoecology and paleophytogeography, and systematics and evolution of ferns, gymnosperms, flowering plants, and fungi. Selena routinely serves on university taskforces and professional society committees, reviews manuscripts, organizes conferences and symposia, performs editorial duties for scholarly publications, and has established a strong record of student mentoring. She currently is supervising one postdoctoral researcher, several graduate student researchers, several undergraduate student researchers, and a high school student. Including past student supervisions, Selena already has helped shape the development of nearly 30 young scientists. Most notable among her numerous outreach activities are initiatives that advocate for the promotion of women in science. 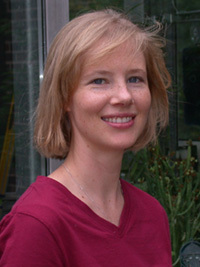 Although Selena Smith is but a junior faculty member by age and by years of activity, she already has achieved the stature of a highly successful senior scholar with respect to scientific achievement, broadening of her discipline, contributions to professional societies, and the establishment of new generations of active scientists. Dr. Stacey Smith has received the very first BSA Emerging Leader Award. Dr. Smith is an accomplished researcher with a true commitment to education and outreach and a willingness to step into leadership roles. She is currently an assistant professor at the University of Colorado, Boulder. Smith did her undergraduate work at Virginia Tech, earned a Master’s on a Marshall Fellowship at the Universities of Reading and Birmingham, and then obtained a PhD in Botany from the University of Wisconsin in 2008. After doing a post-doc at Duke University, and spending 3 years on the faculty at the University of Nebraska, she took her current position in 2013. Over that time Stacey has proven herself to be a prolific researcher, with more than 25 publications, including co-authorship of the book, Tree thinking: An Introduction to Phylogenetic Biology. Stacey is best known for her work on Iochrominae (Solanaceae), a clade that she has turned into a spectacular model system for bridging ecological studies of pollination biology with genetic studies of the biochemical and genetic basis of floral diversity. In addition, she has collaborated on diverse evolutionary studies and has made important contributions in phylogenetic theory. 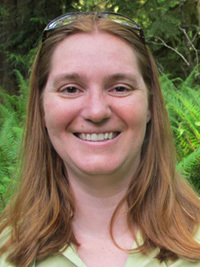 However, as noted by her nominator, “Stacey is not just a great researcher, but also a committed educator.” She has been active in traditional university courses, diverse outreach activities especially in a K-12 setting, and as a resource instructor for the OTS Tropical Plant Systematics course. She has also played an important role in identifying the challenge of teaching tree thinking and in providing resources to help teachers overcome those challenges. Finally, it has been noted that Stacey is “a generous and supportive person who leads by example and draws along many other junior (and senior) colleagues in her wake.” Given all these contributions to Botany, Dr. Stacey Smith is a very fitting recipient of the inaugural BSA Emerging Leader Award.